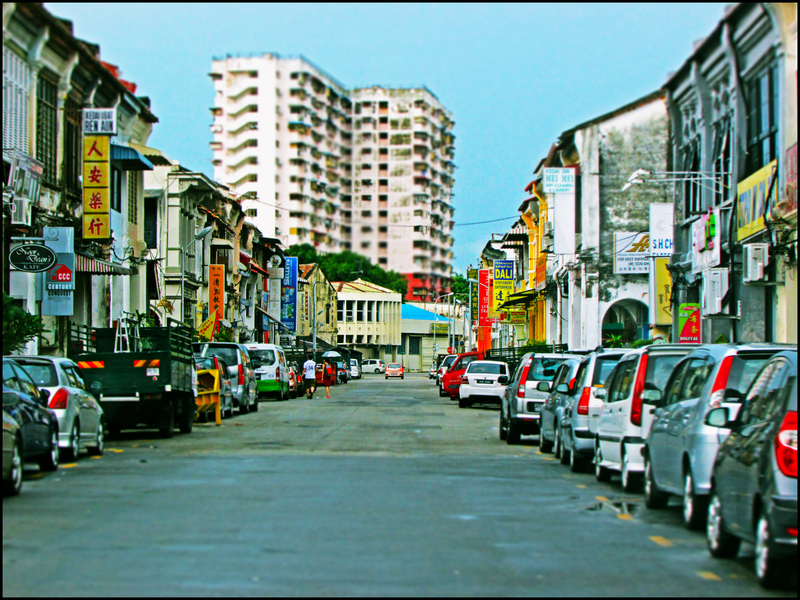 Old heritage townhouses along Noordin Street in George Town. 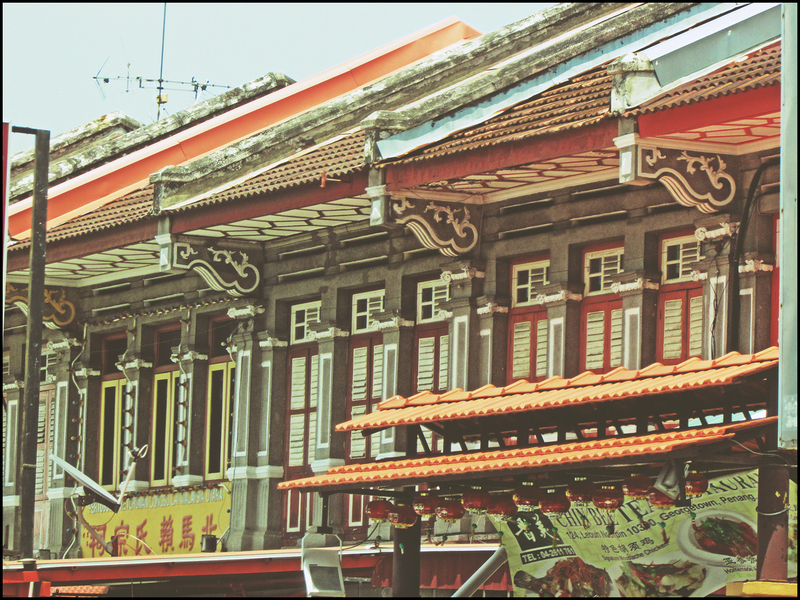 Originated as a small shrine along Noordin Street in George Town, the Tow Moo Keong temple is built as a place of worship for Tow Moo, a Chinese deity known usually as the goddess of the heavens. The temple features detailed sculptures of dragons and heavenly entities of the Chinese lore. Heritage pre-war townhouses painted in orange color, in Noordin Street, George Town. 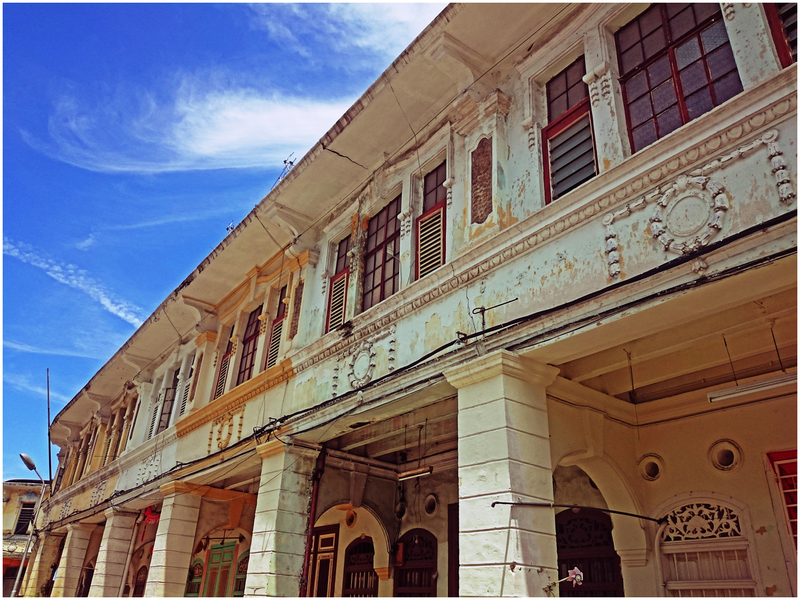 Old heritage style townhouses along Noordin Street, George Town.